Did you know it is reported that only 9% who start training to become an instructor actually go on to qualify. The reported fact that around only 9% of people who start training to become a driving instructor actually qualify is rather astonishing and not a widely spoken about subject. There are a number of reasons for the pass rate to be slow low and it is not due to a really hard qualifying process. Yes you have to train and work hard to become an approved driving instructor but the qualification process alone isn’t responsible for such a poor pass rate. The first issue is all about understanding what a driver instructor is and that is why we offer you a taster session. Many people want to become a driving instructor because they enjoy driving, however the truth is, the only real driving you will do is in between lesson when meeting your next client. Understanding the job is really important, as is the word “job”, it is not a job, it is a career without a manager, without someone telling you what to do, and often without guidance. In true fact you are setting up a self employed business, where you have to find customers, have the skills to retain your customers and then your aim is to lose your customers because you want them to pass your driving test. Is there any other industry where your aims are to find customers so you can lose them? And this is just one reason why the driving instructor industry is very different and you need your eyes wide open. At The Driving Academy we have all the skills and experience you need to qualify, but before you even get near that point, you have simply got to find out if it’s for you. The majority of the people you will be teaching to drive are teenagers and young adults, we want to be honest and very frank with you. Are you ready to accept all members of society into your car so you can teach the how to drive? Consider trying to teach someone who doesn’t really care and doing this because their parents are paying. And there are the learners who treat you like a parent and expect to much from you, the ones who need a lesson in hygiene and the ones who skip lessons. Yes we are painting a bleak picture but some days this is what you get. We would be delighted to help you train to become a driving instructor in Sheffield, but at the same time we don’t want to see you leaving half way through because training to be a driving instructor in Sheffield isn’t really for you. This is why we take such a different tone with any other driving instructor training company in Sheffield. 1. Experience driving instructor training at first hand by sitting in on real lessons. 2. Understand how a driving instructor works day to day. 3. 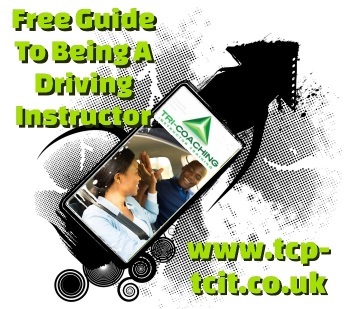 Undertake advanced driver trainer when on your driving instructor training taster session. The driving instructor training in Sheffield taster session will give you a unique insight in to what to expect from being a driving instructor. You will undergo an advanced driving lesson with you in the hot seat and importantly you will sit in the back seat of real life driving lessons. You will meet the pupils, listen in and watch the lesson unfold. After the lesson after the pupil has left the car will be your opportunity to ask and answer questions. Yes, we will be asking you questions about how you feel as that is what you need to uncover at this very important stage. To learn more about training to be a driving instructor in Sheffield, contact us today.